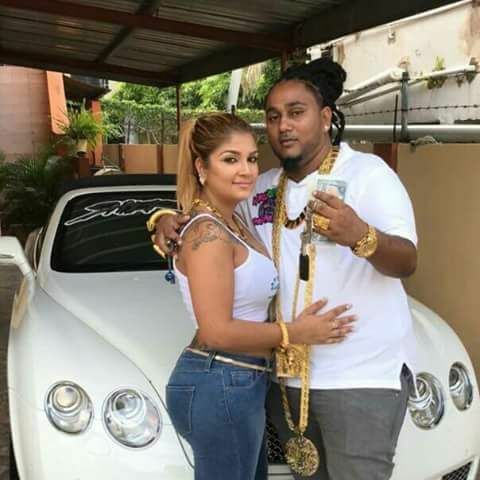 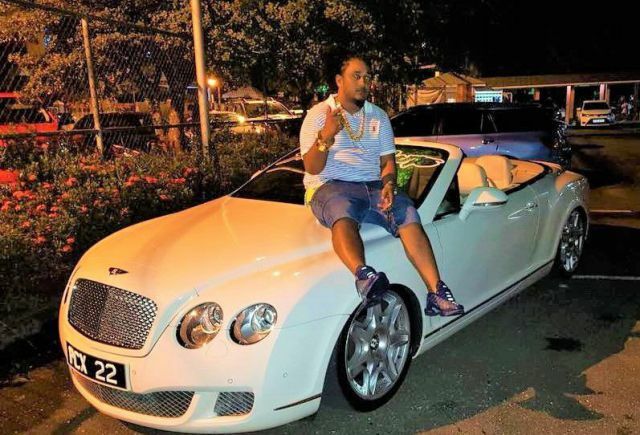 A 33-year-old millionaire, identified as Sheron Sukhdeo, was shot multiple times in a drive by attack outside the home of his relatives at Caroni Savannah Road, Charlieville shortly before 9p.m in Trinidad and Tobago. 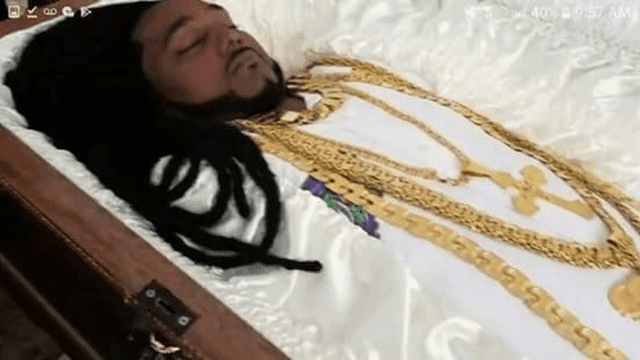 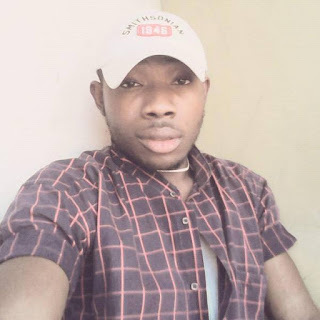 The young Estate agent and car dealer was however buried on Friday, in a $50,000 casket alongside accessories he might be needing in the afterlife. The father of two died while being treated at a hospital and according to local media, he left behind an empire worth tens of millions of dollars to his wife and kids. 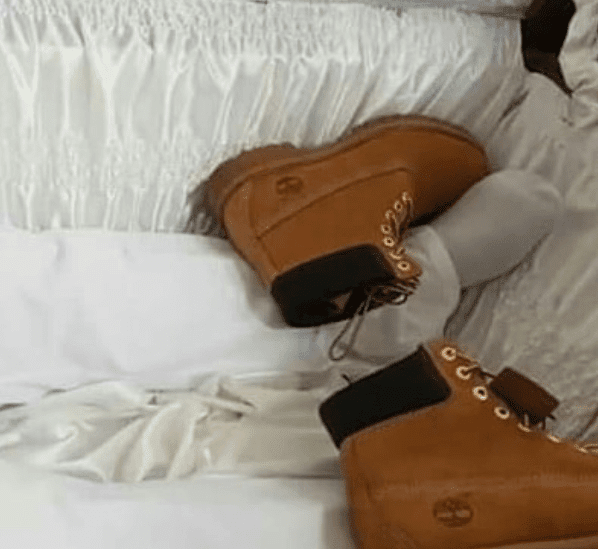 A pair of Timberland boots were placed in the casket near to his feet, while his trophies from various racing events were on display. 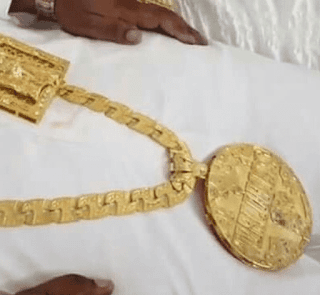 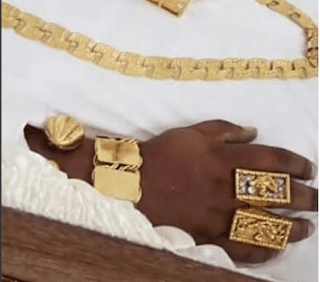 He was dressed in white along with his famous gold jewellery adorning his fingers, hands and neck, he was laid in a $50,000 casket which had words like ‘Sheron’s Auto’ and ‘World Boss’ inscribed in it. 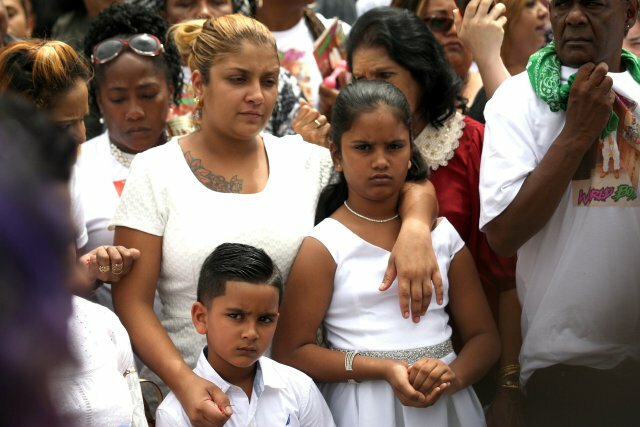 Sukhdeo’s body arrived at the house in a white hearse just before 10 am, where several of his luxurious cars were seen parked. 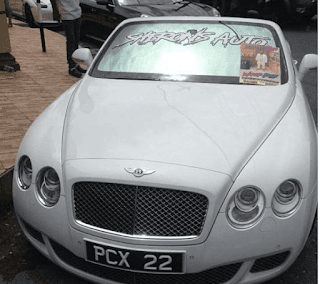 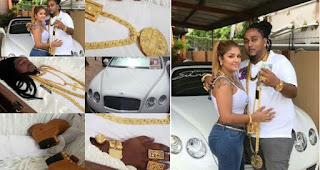 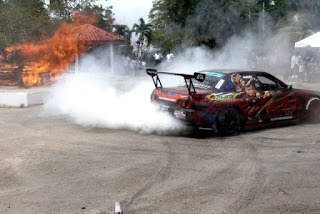 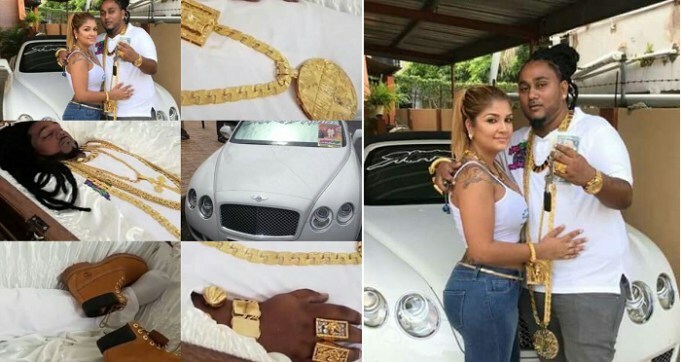 At the funeral service of the millionaire in his palatial home in Orchard Gardens, Chaguanas, hundreds turned out to mourn the business man whose funeral reflected the life he lived – luxurious vehicles, excessive gold jewellery, friends and family, loud music and a car show. Just before his body was reduced to ashes (cremation), Sukhdeo was showered with Moët champagne at the Waterloo Cremation site in Carapichaima.